Left: Sen. Elizabeth Warren, D-Mass., during a town hall event, in Natick, Mass. 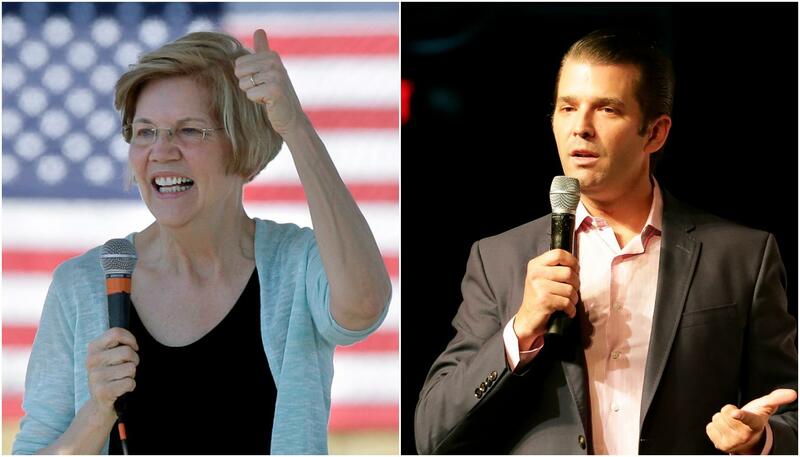 Right: Donald Trump Jr. speaks at a rally in Orlando, Fla.
Abrams hopes to break a similar barrier as the first black woman to serve as governor in the U.S.
As for Republican gubernatorial candidate Brian Kemp, he’ll be in Athens with Donald Trump Jr. for a fundraiser at the Classic Center. 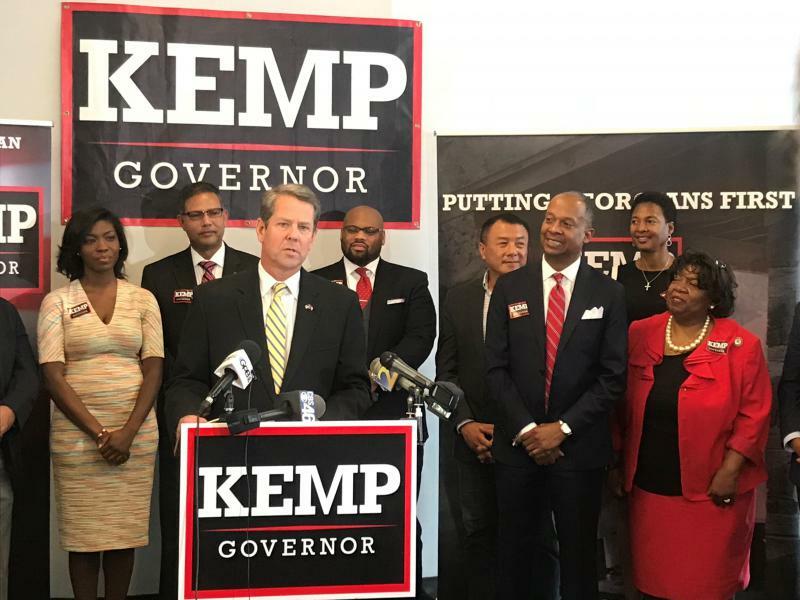 President Donald Trump endorsed Kemp during the republican primary to help him defeat Lt. Gov. Casey Cagle in a runoff this summer. Tuesday, Oct. 9, is the last day for voters to register for next month's midterm elections. Early voting begins next Monday, Oct. 15. You can register to vote or check your voter status at the secretary of state's website.